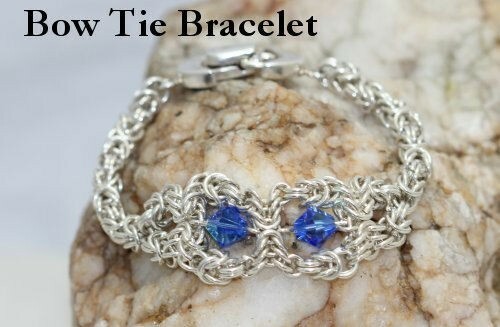 The Bow Tie Bracelet is a great piece of chainmaille jewelry that is very unique and interesting in design. You supply the crystals so that they are in the color of your choice. The crystals are added utilizing simple wire wrapping techniques. This is an intermediate weave. The clasp is not included in the kit.